It makes sense to rethink cover design. 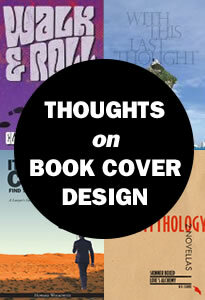 If your book is commercial, the cover should convey its practical value. But if your book is literary art, an artistic, uncluttered cover might convey that as well as any blurb or list of testimonials. As a designer, I find that liberating. Every great writer has influences. Every great painter and every great musician has been inspired by those who practiced their arts before him. Too many designers are inspired only by “look what my software can do.” Caught in a cycle of circular imitation, they overlook the importance of design history. Historical typefaces and styles help provide temporal context for the prose inside the book. Though historicist design is not the only viable solution for creating effective covers, it’s often the perfect way to create a “vibe” that lets the reader know exactly what attitude to expect from the text. Doug Burris started the Miami Beach Sr. High Rock Ensemble, possibly the first program of its kind in the world. For 40 years, he coached the MBHS Rock Ensemble and the MBHS Classical Guitar Ensemble to win numerous competitions. Under his direction, the groups performed in Nashville, Japan, and even at the Rock and Roll Hall of Fame. Notable is that Burris accomplished this while slowly succumbing to the debilitating effects of multiple sclerosis. He lost his ability to walk and finally lost his ability to use his hands to play music; his students became his instrument, and he continued to push them (and himself) upward. 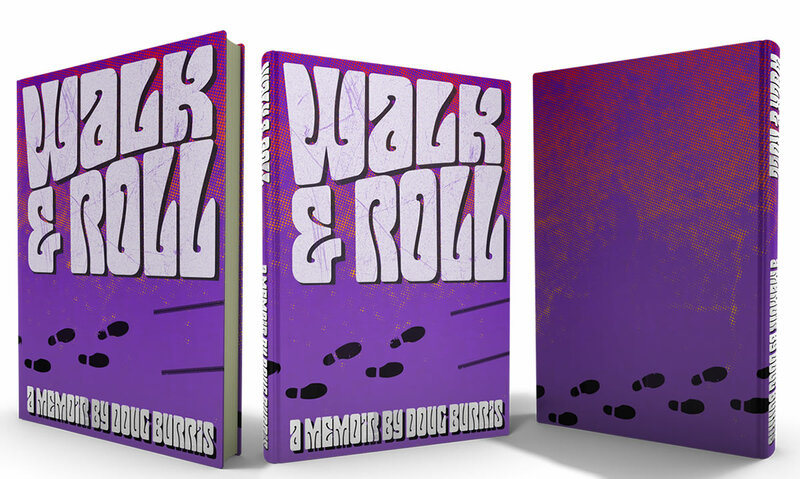 Walk and Roll is his memoir. 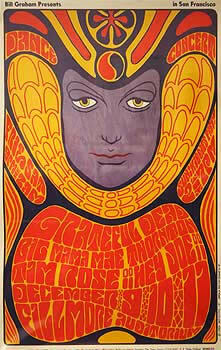 The book cover design called for a rock ‘n’ roll theme, hence the psychedelic colors and the warped Alfred Roller text favored by Victor Moscoso, Wes Wilson, and other famous poster designers who produced art for Bill Graham’s Fillmore Auditorium in San Francisco during the 1960s and 70s. The footsteps wrap around the book until they become wheelchair tracks; the trajectory is always upward. The “psychedelic typography” of the 1960s was actually a direct adaptation of Vienna Secession typography from the 1900s. Compare the Wes Wilson poster on the right above to Alfred Roller’s 1903 Ver Sacrum poster on the left. Wilson borrowed from design history and then added the text “warp” effects and psychedelic colors. Many imitators of the “60s look” have no awareness of its roots, but here we see a case where a designer borrowed from history to make history himself. A technical note: psychedelic text is perhaps one of the most commonly botched design styles. I used the “envelope” tool in Adobe Flash (!) to finesse the smooth curves into the letters of the title. Everything else was composited in Adobe Fireworks (another tool that was never intended for print production) because it allowed me to work easily with both vector (shape-based) and bitmap (pixelated) images. When the design was finalized, I exported to Adobe Photoshop to convert the file to CMYK mode and adjust the ink density for printing. The final file was prepared in Adobe Indesign. 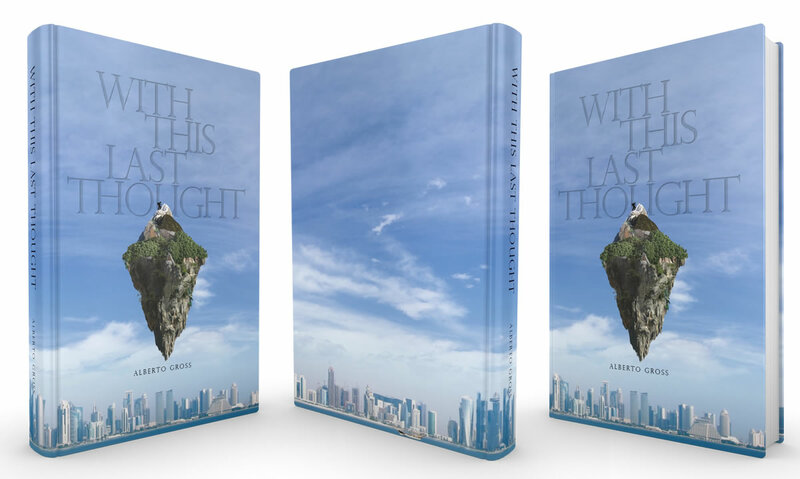 Alberto Gross wrote With This Last Thought as a philosophy text wrapped in a novella. His characters meet over an ideological clash with a teacher at a Jesuit school. The story follows their interwoven lives as they struggle to find order and meaning in the world. The text is Perpetua Titling by Eric Gill who was a stonecutter as well as a type designer. (He’s most famous for his font, Gill Sans). 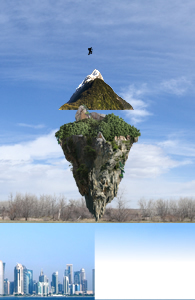 The title appears to be embossed or carved into the sky behind the floating island. It offers an air of profundity and seriousness and wisdom, but also of beauty and elegance. But at the same time, it’s subdued. The image does the talking and the title text doesn’t interfere. Howard Wolkowitz is a finance and insurance consultant who offers training and seminars for legal, medical, and business professionals. This book is the first of several that address various professional disciplines. This particular one is a short book that offers advice to attorneys on how to generate new business through networking and branding. When using stock photography for a book cover design, I hesitate to use a purchased image as-is. Stock images are available to anyone, and it’s too easy for someone else to use the same images for their own similar project—or to accidentally imitate someone who bought the image before you. In this case, I purchased separate images of the man with the umbrella and the desert landscape. I combined them digitally, and then used the mask path I created to cut the umbrella man out of his background to create the long shadow extending into the scene. The sky is a digital vertical gradient made from colors sampled from the original desert photo. This made it easier to wrap the sky image completely around the book while keeping it consistent from one side to the other. It also provided a perfectly “clean” background upon which to composite the ghosted white box, author photo, and back cover text (which were created in Adobe Indesign). And there’s a touch of history in Howard’s book cover design, too. 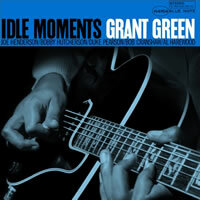 The bold typography used by Reid Miles in hundreds of Blue Note album covers during the 1950s and 60s is as fresh and vibrant today as it was 60 years ago. W.D. Clarke is a capable writer. He takes many liberties with language and typography, but he’s meticulous in his consistency and his attention to detail. Clarke’s writing is uniquely postmodern and he has an affinity for the rebellious and absurd ideas of Marcel Duchamp and the Dadaists of the turn of the 20th century. His original manuscript and cover concept offered an homage to Duchamp and his Fountain art exhibit, a urinal signed with the pseudonym “R. Mutt” that shocked the art world in 1917. 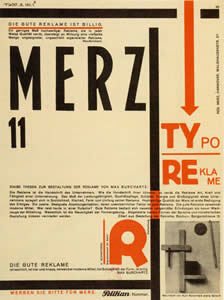 A favorite designer of mine from that time period was Kurt Schwitters who, though historically associated with the Dadaists, was never formally admitted into their “club.” He was the father of collage as an art style, but also practiced a MERZ (commercial) style that was geometric and typographical. Clarke had expected me to design the interior and use his cover art, but I couldn’t resist throwing my own design at the book. It became the solution. (And though Duchamp got away with it a century ago, I’m not sure you get too many shots at successfully pulling off the “urinal as art” trick). 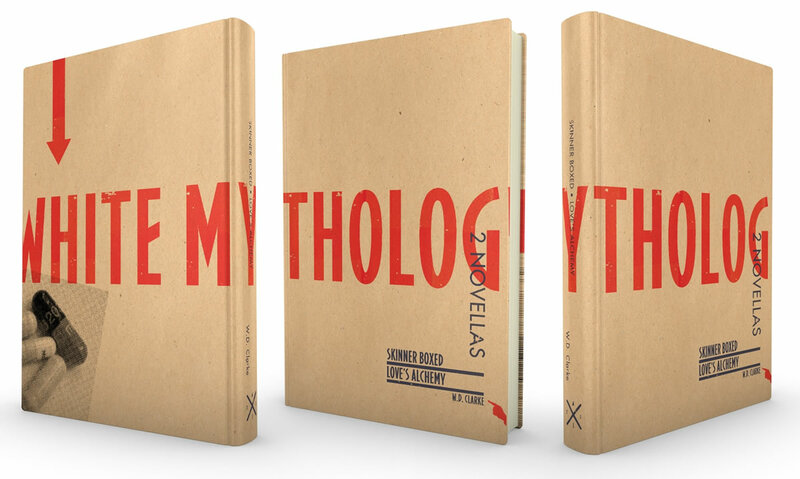 Central to the design is the notion that the book is literary art and the cover is not a billboard or piece of signage. W.D. Clarke has his own sophisticated, humorous voice; I wanted the cover to look unconventional. 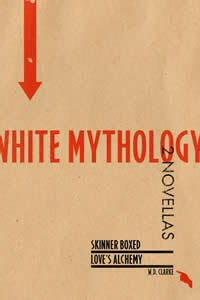 The front presents the practical, fundamental facts that there are two novellas by the author, but the name of the collection, White Mythology, wraps around the book. Look at this book on a shelf and you’ll see a big, red “Y” above an “X” logo I created for Clarke’s “All That Is Solid” imprint based on Tristan Tzara’s original Dada typography. This design invites you to pick up the book, turn it over, and explore. But though this makes the book engaging after you’ve purchased it and have it in your hands, a different approach addresses the way the book is merchandised online. A separate, one-page version (left) reveals the cover art in a way that doesn’t require turning the book over in your hands. There is no ideal formula for book cover design. Every book is different and every cover has different goals to accomplish. 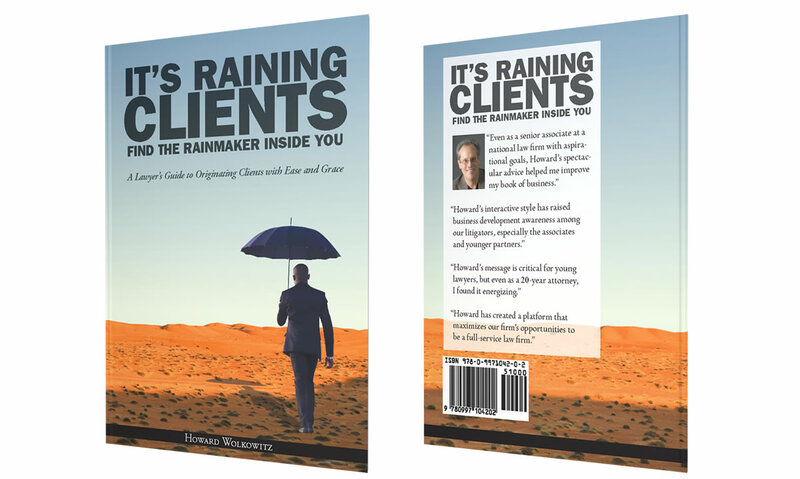 Howard Wolkowitz’s Rainmaker book is very much a commercial product that’s connected to his consulting and training services. Though the cover aspires to be attractive and professional, it’s a paperback book with promotional copy on the back that asserts its value to the reader. And the image supplements the title; we see a professional strolling boldly out into the desert with an umbrella, confident in his ability to make it rain. The other books are hardcover editions, clothbound with foil stamping on the spines and a dust jacket. Though the authors hope to sell books as all authors do, the goals of these works are primarily expressive and artistic. Commercial language (and even the barcodes) is moved to the inside jacket flaps. The back covers continue the fronts and spines. Reviews, promotional language, and descriptive copy can be read on each book’s Amazon page. With physical retailers out of the picture, a book’s online presence can deliver all the boilerplate text, freeing the cover from the indignity of having its back turned into a billboard. When using stock photography in a book cover design, be sure to change or combine images to produce something new and original. The cover for With This Last Thought was assembled from at least five different stock images. The lazy approach might land you with a cover that’s identical to someone else’s. Three of the designs above reference specific historical styles (all four do if you include Eric Gill’s Perpetua typeface as a historical reference). It’s easy enough to find a “designer” who knows how to use Photoshop—and technique is important—but best results are achieved by artists who read your book, understand your intentions, and know enough about the evolution of design to create a visual complement to your written ideas. As an Indie book designer, thanks for contributing your inspired insights and high standards to our practice, particularly at a time when too many book covers on store shelves and ecommerce pages are increasingly void of any visual interest. Athough all of your book cover designs were based on graphic design from the 20th century, I still find the designs by Schwitter, Roller and Wilson more interesting. My eye is drawn to the use of complexity. It has to be an element that is played against an emphatic contrast. With This Last Thought is the only one complex enough to be interesting. Yet I have seen authors condemn that type of cover because the title and author do not jump out due to low contrast. I wouldn’t place myself on the same shelf as the designers who influenced me, but they worked in different times and their pieces had different work to do. My covers still had the functional task to perform of delivering the name and title in a medium that doesn’t ususally get more than a glance. Complexity would not have served that purpose. On the other hand, with regard to With This Last Thought, we did increase the contrast a bit for the final release, but this is not J. K. Rowling’s new blockbuster. Indie books by unknown authors (including mine) need to deliver the author/title information, but neither the author name nor the title will help attract buyers. The suggestion to make this information prominent makes sense intuitively, but unless the prospective reader knows the author, has heard him/her speak, or has read an article that inspires deeper investigation that author’s works, you might as well print that data in big, bold, Swahili text. Making it prominent will not increase its resonance with the reader, even if it does “jump out.” I find that in most cases, when it comes to indie publishing, the author is much more of a product than the book. Pretending otherwise or imitating the marketing strategies of successful authors is a great way to make a big, loud, ineffective book cover tat looks like authentic “something.” Thanks for your comments. Love the covers, love the insights behind them. Dave, this article rocks! You are extremely good at this.